Yoga in the bathtub along with relaxing music by Florea & Schumacher. The limited edition of the bathtub book “Sonnengruss im Badeschaum” (English translation: sun salutation in the bubble bath) is now available. 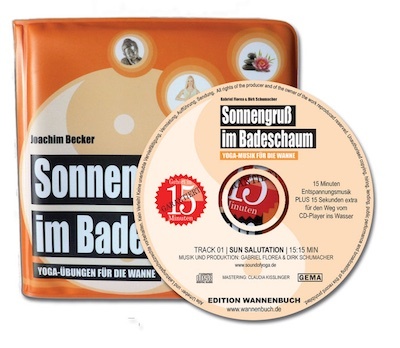 Gabriel Florea and Dirk M. Schumacher have composed a song for this unique quire: 15 minutes “Sun Salutation” – exactly the time needed for reading the book. For more information and the shop visit www.wannenbuch.de.